Yesterday was a wonderful and almost lazy day. The first time in a VERY long time that I have had the space for a teensy bit of laziness. Ava was at nursery and Chloe was having just a simply, happy, contented, easy baby day. 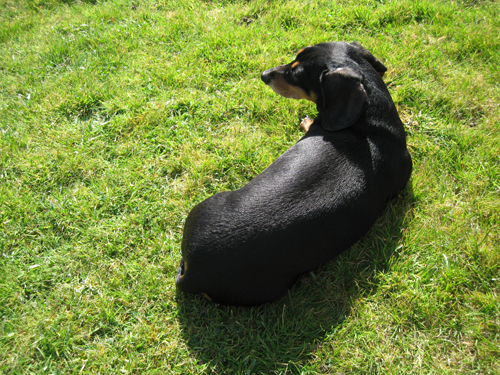 And what a gorgeous sunny day it was for a bit of garden lounger loafing. I introduced Chloe to Ava's water table...she spent AGES splish splashing in there, then eating compost from the dangerously close, potted rose bush! 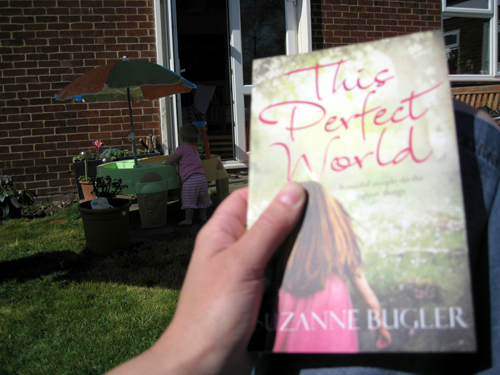 Allowing me a bit of Mummy time to crack open my 1st book in far too long. This book was a freebie at last weeks Country Living Fair. A few pages in and I am hooked already. I took a little wander to go check out garden progress. We started digging up the grass in this spot last April - I was heavily pregnant and it was darn cold and miserable and wet. Last week I added a few plants to fill in blank/dead spots. 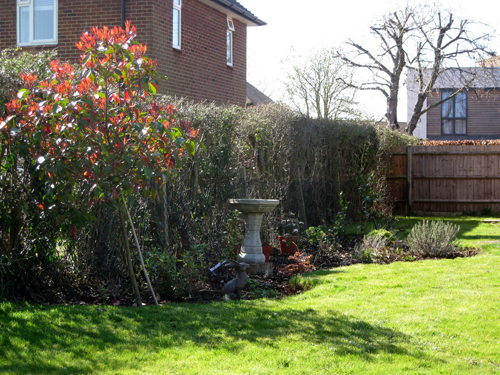 I think that we need to re-plant the Red Robin, she has a bit of a Leaning Tower of Pisa thing going on there. We have a mish mash of all sorts of plants - mostly evergreen types that should hopefully last for ages and ages and fill out to gives us some decent bushy screening between us and our neighbours. 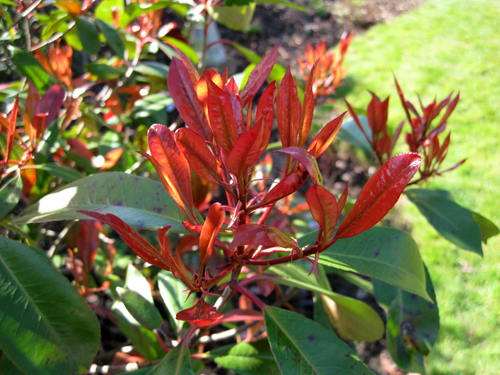 Amongst other plants there are: 3 camellias trees, lots of lavender, lots of hebe varieties (which we have had good - easy maintenance and not-so-easy-to-die - experience with in the past), paeony trees, viburnum burkwood whose flowers have a yummy jasmine fragrance, red robin standard, a rose bush. 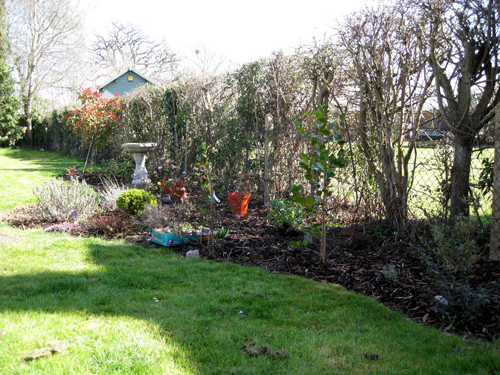 I am aiming for an easy maintenance sort of country garden - hopefully it doesn't grow into a big mess! 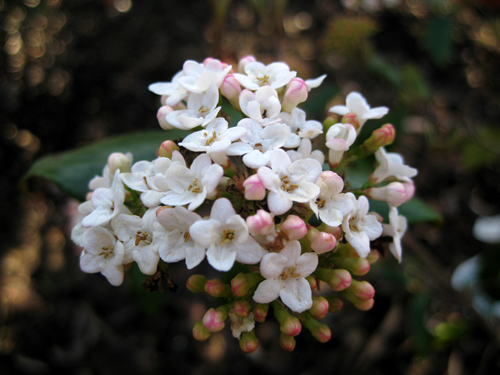 The clustered pink buds and white flowers on the viburnum burkwood - I could dangle these from my ears, just so the lovely fragrance was with me all day. 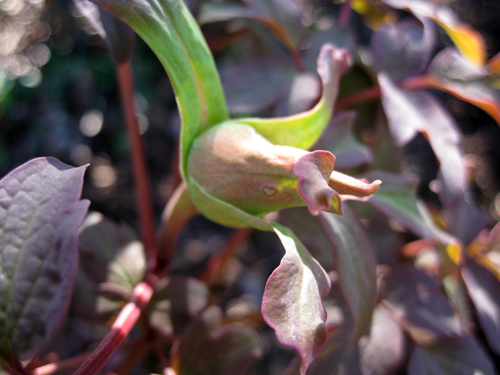 One of the Paeony trees has a bud!!! 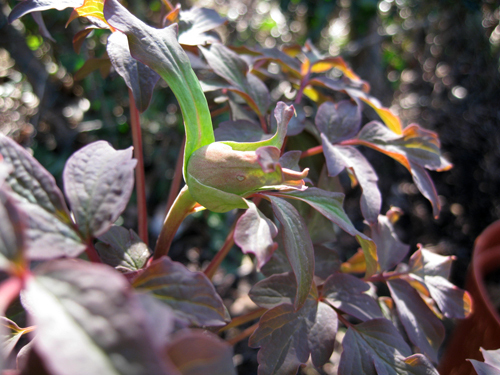 We had a bud last year, but it stayed as a bud....maybe we will be lucky to see a Paeony flower this year. Here is Buzzy the garden protector. 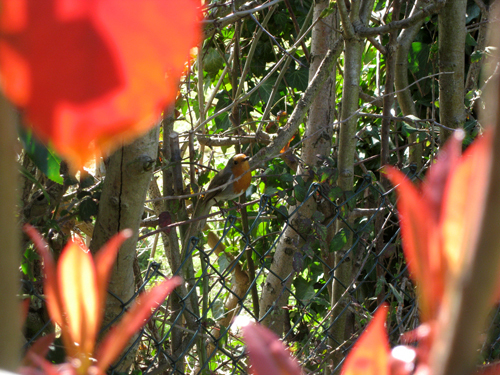 The young Red Robin leaves - all bright, shiny and red. 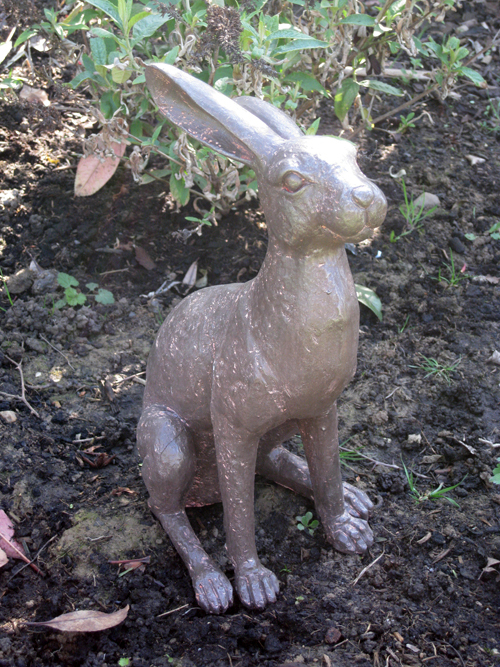 We rescued this chappy from the garden centre last year. Her leaves were all covered in black spots. Some spots still remain, but she is looking very happy otherwise. And who do we see there? 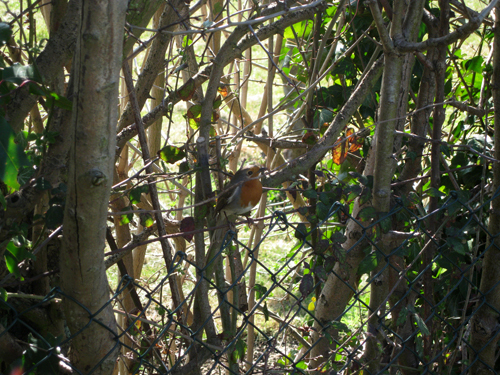 It's our friendly little Orange Breasted Robin. Lately, she always comes to chat to me when I am out there. 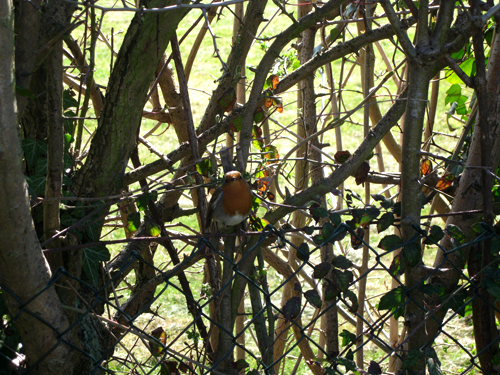 She follows me from one side of the garden to the other, chirping all the time. She get's quite close too, often less than a metre away from me. I think she needs a name - what do you think? 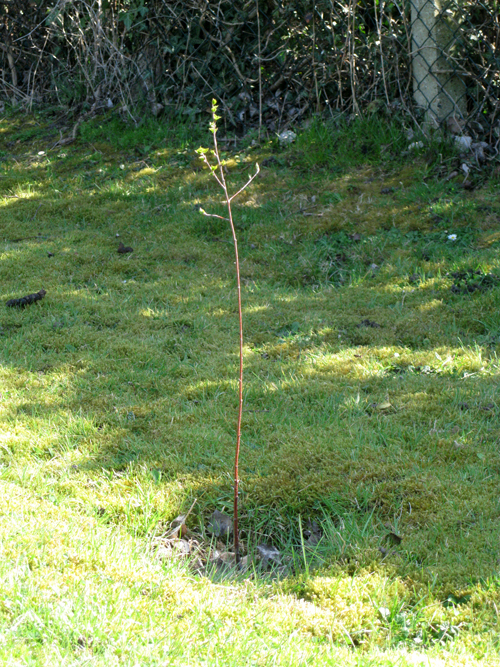 A little further back there is a baby baby Silver Birch. This little guy has been in the ground for maybe a year and a half? He is probably only about 70cm tall, if that. We got him via a Country Living offer - pay for postage and they send you a tiny plant. 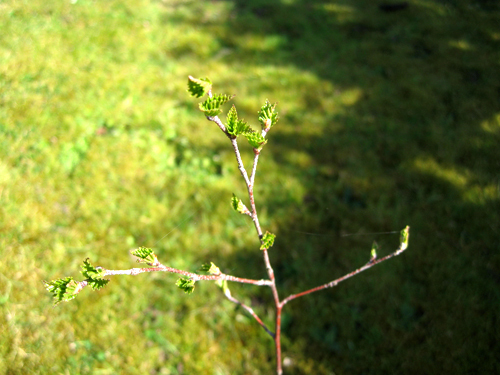 I don't think he had any leaves last year, so I was super excited to see his little leafy buds opening to show off some greenery for the first time. Today is meant to be another lovely day - getting cooler from tomorrow. Best we go and enjoy it while it lasts! I need to go and make some Cloud Dough - 1 cup of baby oil with 5 cups of flour all mixed together - and clear out a bucket for it all to go inside. Hopefully that will allow me some more sunny book reading time.